"Dope is Death" started as a study document for revolutionary nationalist cadres in the 1980s at the height of the Crack Wars and Reaganomics. 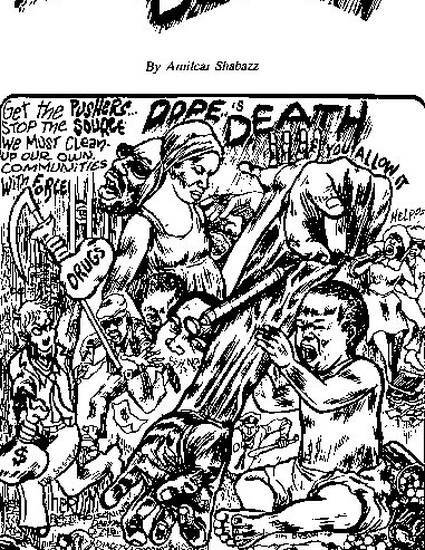 It was later published in the September/October 1987 issue of "By Any Means Necessary!" newspaper published by the New Afrikan People's Organization. The version seen here is the 1988 pamphlet edition.